Have you ever wanted to decorate your porch or other areas outside your home to make it more exciting – or even just block out something uninviting? HGTV and Topiarius have got several great tips for you. Privacy screens work wonders to block out a view you may not want – whether it’s an uninviting wall or an area that gets a little too sunny. You can also use it to block out views or sounds from the inside – for instance, an entertainment center for times when you want to play music or watch a big game but don’t want to bother the neighbors. For those that have small children, adding some astroturf is a great idea. You can create your own play area for them – or yourself. When no one is playing, it’s the perfect area for a picnic. For the gardeners, you can add several pots and plants. 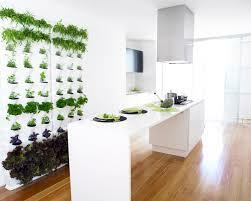 You can even add what HGTV calls a herb wall. It’s the perfect solution for those that like gardening and barbecue chef of the house. You can also add one inside for easy cooking access during the colder months. The Powell Group invites you to decorate your outside space to make it more inviting. Our team members are also here to answer any questions or concerns.